It’s pretty easy to make these Halloween Funny Bones Recipe! The kids get the biggest kick outta em! They love be part of making them too! Try making “Funny Bone” Treats! They would make an excellent treat for your Halloween Party too! 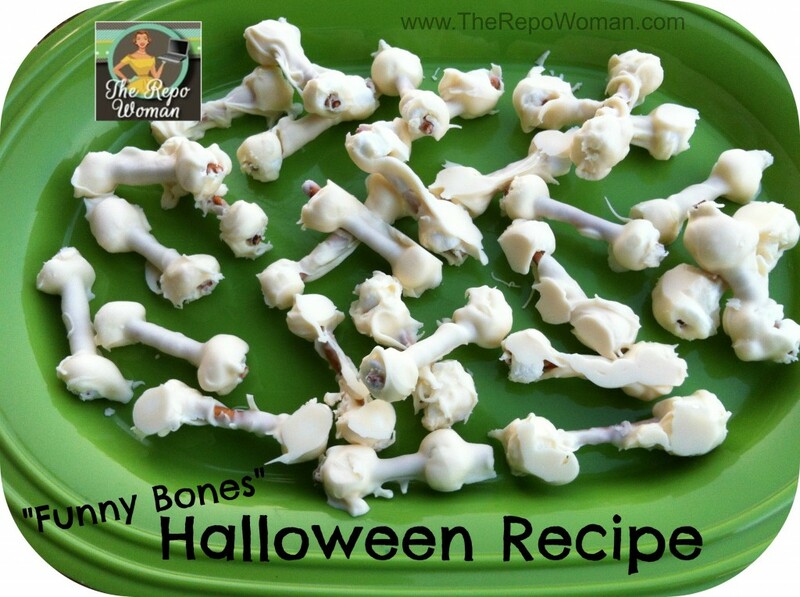 Be sure to head over here and see all of our Fun and Easy Halloween Food ideas. 1. Lay out a few sheets of wax paper on a baking sheet. 2. Stick marshmallows at the end of the pretzel sticks to prepare them to be dipped into the chocolate! Kids love helping with this part! 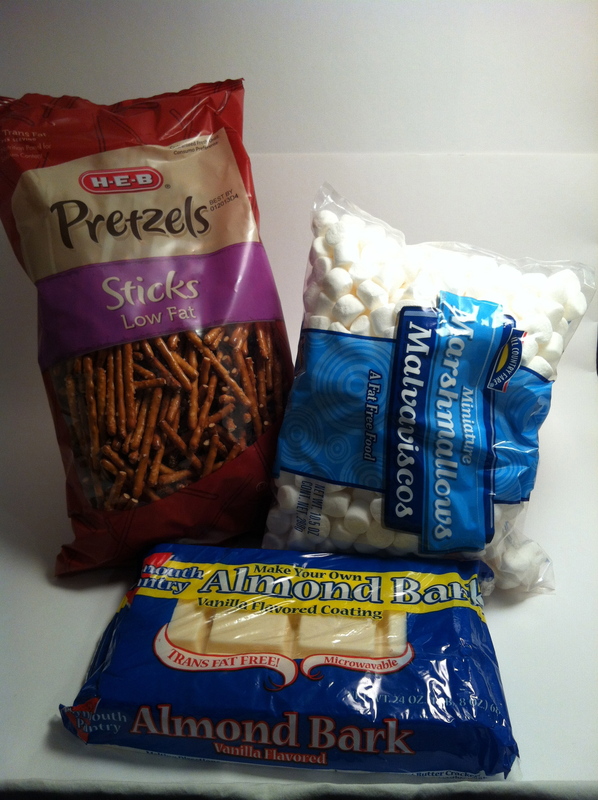 Tip: I alternate between sticking one marshmallow to two marshmallows at the end of each stick to make the bones different sizes but be sure add the same amount of marshmallows to each side of the pretzel stick. 3. 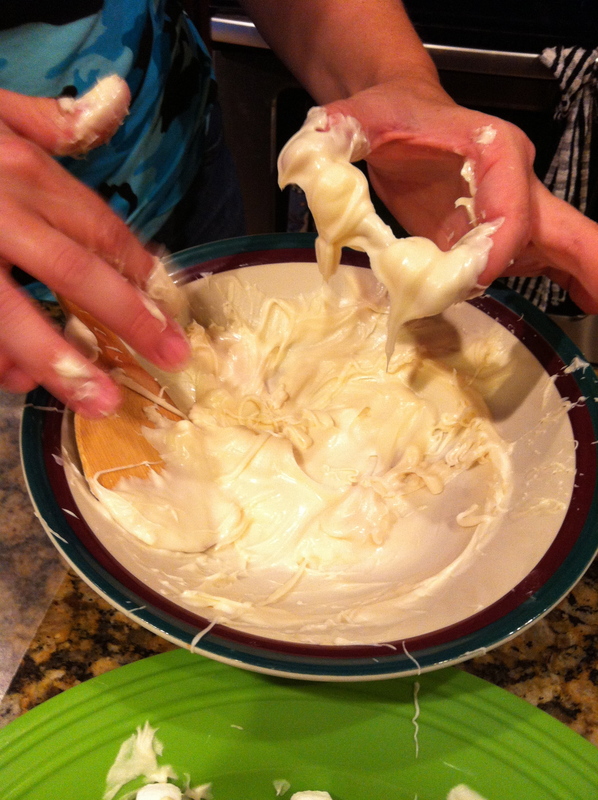 Place the Almond Bark or White chocolate chips in a microwave safe bowl and melt them. (I would microwave small portions at a time. Example: I would break the Almond Bark package up into three different sections.) Tip: Microwave at 30 second increments because they melt very quickly and you don’t want to burn them. 4. 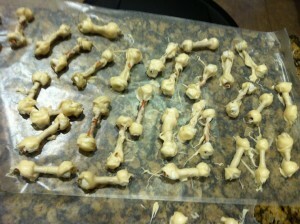 Dip each pretzel stick into the chocolate mixture and let the excess drip off before placing it on the wax paper. Tip: I started off with a fork and found the marshmallows tend to fall off the sides if it’s not help just right. About 5 dips into it, I ditched the fork and held my fingers at the end of each pretzel stick and dipped it with my (clean) fingers! It’s messy as heck, but it worked like a charm! 5. Let them set. This is the time to sit back and let the Almond Bark or chocolate set. It only takes about 30 to 45 minutes for it to set properly. You can speed up this time by placing it in the freezer if needed. These make super, duper cute Halloween party treats! Enjoy them with Friends! 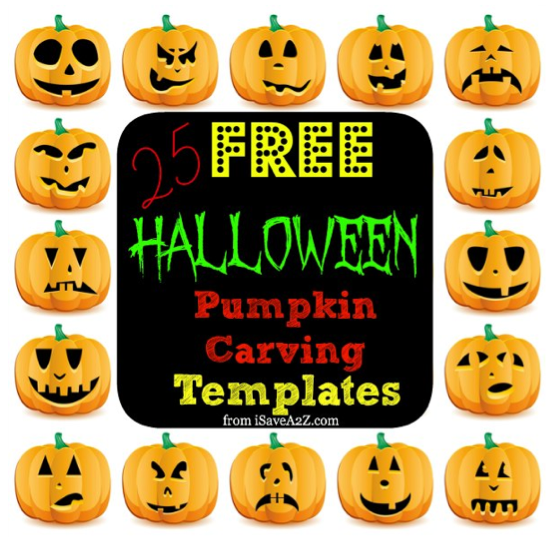 Head over here if you are looking for FREE Halloween Pumpkin Carving printable templates! There are 25 of them and most are fairly simple to do! I’m going to borrow this recipe too!! I’ll take it to my cousins party this weekend 🙂 TOO CUTE!